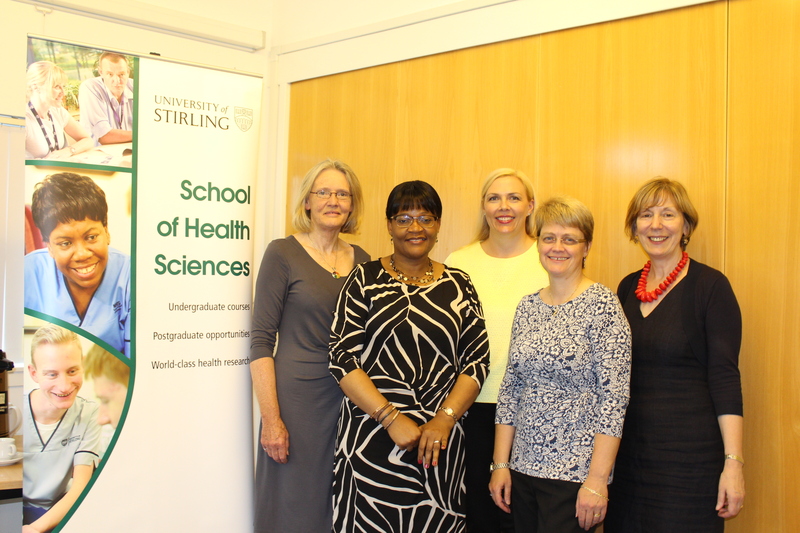 A University of Stirling Health Research student is bidding to better the lives of Malawian mothers, babies and their families. Christina Ruth Mbiza, from Blantyre, Malawi, made the tough decision to leave her three young children at home to complete an MRes in Health Research. Christina is a senior midwife at the busy Queen Elizabeth Hospital maternity unit in Malawi, which delivers 14,000 babies a year. 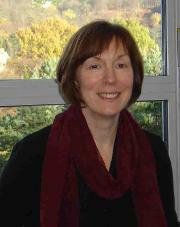 She came to Stirling to research methods to counter puerperal sepsis, a condition caused by an infection during childbirth, which accounts for 289,000 annual maternal deaths worldwide, with almost all cases occurring in low income countries. Scotland has a strong track record of using health care methods which reduce the risk of sepsis and Christina will look to implement clean birth practices back in her homeland upon completion of her degree in September. She said: “My children have stayed for a year without their mother for me to be here, but I had to take this opportunity as my main goal has been to come up with evidence-based solutions to improve maternal and neo-natal health in Malawi. Aside from her role in delivering babies, Christina mentors the young midwives and is a former Vice President of the Association of Malawian Midwives. She is also a volunteer with a number of charities supporting pregnant women in Malawi, helping to raise funds for new equipment including the renovation of a high dependency maternity unit. Christina’s studies were supported through a scholarship from the Rotary Club of Bridge of Allan and Dunblane, partnered with the Limbe Club in Malawi. In Malta the number of cancer incidence as well as experiences and feedback from patients and relatives has motivated the new Cancer Care Pathways Directorate to plan models of care to achieve a more positive impact across cancer services. Around 2000 new cases of cancer are registered yearly in the Maltese Islands. The average number of male cancer cases per year is 944, while 964 females are diagnosed yearly with cancer. On average, the most common cancer sites by incidence for males include the prostate, lung, colorectum and urinary bladder, while those cancer sites ranked highest by incidence for females are namely breast, colorectal, uterus and lung cancers. The Director of Cancer Care Pathways Directorate, Ms. Danika Marmara,is reading for a PhD in Health and Cancer Care at the University of Stirling. She leads this innovative Cancer Care Pathways Directorate and is working on aspects of care to offer support, guide and help increase access to care for cancer patients. As part of its pathway, aspects of patient needs must be continuously explored as cancer has several implications towards family life, social life and consequently society in general. Cancer Care spans the whole patient pathway from screening or initial referral for a symptom to cancer diagnosis to cancer treatment followed by survivorship, palliative care or end-of-life to improve patient experiences and outcomes across the patient journey. On an organisational level, it aims to illustrate patient flows through the different phases of the cancer care pathways for various cancer patients with the aim of identifying the strengths and weaknesses of the current service provision and improve cancer pathways. Identifying barriers to screening programmes to increase uptake rates. 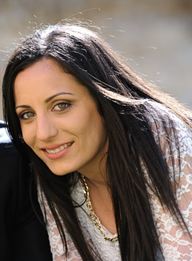 Ms. Danika Marmara has recently spearheaded a working group entitled ‘Tailored Information in Cancer Care’ (TICC). This working group has developed cancer treatment booklets for breast, colorectal, early prostate and primary lung cancers. These booklets are the first set of written resources involving a multidisciplinary team approach in the treatment stage of the cancer journey, a stage where previously local tailored information was lacking for different cancer types. From feedback received from the healthcare professionals and patients alike, these booklets have been identified as offering clear, well-written and patient-friendly information that will be used to complement verbal information by the patient’s medical team. More work is in progress in Malta to develop resources where patient needs are being identified.